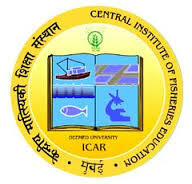 Project Title : Identification of Most Suitable Population of Pearl Producing Freshwater Bivalves of North East India Through a Molecular Approach"
Qualification : Post graduate in Fisheries Science / Post Graduate in Life sciences with NET qualification / Graduate degree in professional course (Fisheries Science /Animal science) with NET Qualification. Desirable :Research experience in molecular biology. Emoluments : Rs.25,000/- + HRA (30%) per month for the first two years and after committee assessment, Rs.28,000 + HRA (30%) per month for the 3rd Year. Interested candidates may appear in the Walk-in-interview on 15th March, 2017 and report at 11.00 AM at committee room No. 421-A, CIFE, Off Yari Road, Panch Marg, Versova, Andheri (W), Mumbai - 400 061 along with applications giving full Curriculum Vitae with one set of attested copies of testimonials and certificates, original age proof and one self-attested passport size photograph. Original certificates/degrees will be verified before the Walk-in-Interview. Experience certificate(s) from the earlier employer(s) can be brought if available.